Robert F. Kennedy, Jr. has penned an interesting and insightful memoir about his life and times, and his family and how their legacies have shaped the country and the world. There are plenty of personal memories recounted throughout the pages, but the book is a memoir of how his relationships and how his family have played a role in the world and how they have shaped his own life. “American Values: Lessons I Learned from My Family” is filled with history and facts that are new to most readers. Kennedy breaks the book down into sections, each focusing on a specific person or time in history. He begins with his grandfather, Joseph P. Kennedy, the patriarch of the family, and then turns his focus to his grandmother, Rose Kennedy. He discusses his grandparents and their contributions to the family. Kennedy emphasizes his grandmother’s insistence on punctuality, cleanliness, and good manners – especially at the dinner table. RFK Jr. is not only a Kennedy, but he is also part Skakel. His mother, Ethel Skakel Kennedy came from an influential and wealthy family. The Skakels were different from the Kennedys in that they did not have the regulations placed on them. They didn’t have a set dinnertime, and they were staunch republicans. So, when Ethel married into a democratic family, her family was surprised. She gradually took on the values of her husband. Theirs was a love that lasted through the decades, and even the five decades since his death. 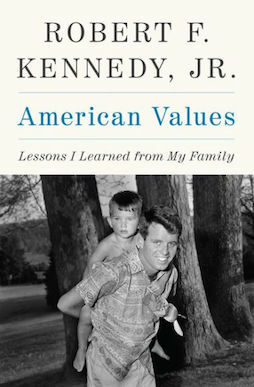 Kennedy then tackles the subjects that we have come to expect from a Kennedy memoir: The White House years and the contributions of the president as well as his mistakes, growing up at his family’s farm known as Hickory Hill, his father’s tenure as Attorney General, and his father’s years as senator. The author had a front row seat to all of these and although he was young, he has a remarkable memory and adds his own reflections about these times. Unlike most personal Kennedy memoirs, RFK Jr. tackles the subjects of both assassinations and describes what he and his family did during those horrific days. He explains how he found out his father had been shot and what he did – along with his siblings – on the subsequent days. It’s heartening to read his personal accounts of the tragedies that affected the country but even more so the family. While we think of the assassinations as American tragedies – which they were – we also have to remember the victims were also members of a large and loving family. The author finishes with reflections about his mother and their turbulent relationship through the years. RFK Jr. was often in trouble with the law and confesses to being an alcoholic and drug user. He also confesses to the many times he and his mother clashed. But in the end, they have come to terms with their past and, according to the book, have a good relationship today. There is no doubt the world would be a different place if either John or Robert had not been killed. As the author explains, President Kennedy had planned on removing all American forces from Vietnam as soon as possible after his reelection. He also wanted to normalize the relationship with Cuba, making the tiny island nation a friend and not a foe. There are also several interesting facts brought out about the CIA and the assassinations. The author has had personal conversations with many influential people all around the world and weaves them into the pages as he paints a portrait of his life and times, in a very interesting and compelling way.